A New Jersey Transit train crashed into the Hoboken terminal Thursday during morning rush-hour, resulting in more than 100 injuries and at least one fatality, according to law enforcement sources. Disaster struck around 8:30 a.m. when the train No. 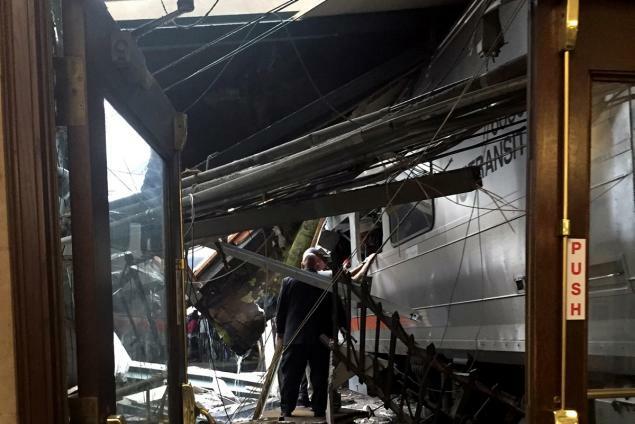 1614 on Track 5 on the Pascack Valley Line went through the wall of the terminal, causing major structural damage to the station, a NJ Transit source said. The train, which departed from Spring Valley, was due at the Hoboken station at 8:38 a.m. It was apparently running late, WABC reported. NEWS | Some Subways Will Be Operating Tomorrow in NYC; Check The Listing Here!